There’s an old axiom in leadership. It goes something like this: Leadership is lonely. Leadership is isolated. And you have to lead through it. I’ve never liked this axiom. 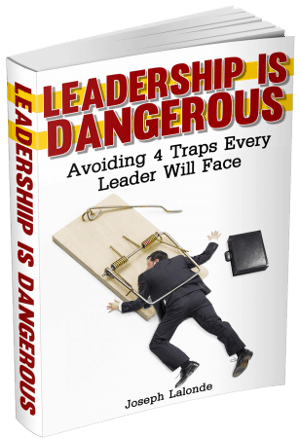 It’s created a lot of heartache and trouble for those leading people. And you’ve got to break the cycle of making leadership lonely. Leadership doesn’t have to be lonely. Leadership can provide deep, meaningful relationships to those you lead and, more importantly, to you. Through my time in varying leadership positions, I’ve heard from different leaders and their views about relationships. Their ideas go from relationships are crucial to the success of a leader to being unimportant. You may believe peer relationships take too much time or they don’t offer much value. They’re not helping you make money or increase the productivity of your team. You may believe relationships are everything. They’re the lifeblood of an organization and you need to maintain peer and business relationships. Maybe you feel peer relationships are hard. Or you don’t know how to build relationships outside of work. You’re not alone if you have one or more of these feelings about relationships. That’s the thing, relationships are hard, they take work, they challenge you (and frustrate you), and you might not want to build more peer relationships outside of work. But, as a leader, you must. For your organization and for your own personal health. Even though relationships are hard and can be a struggle, you have to be intentionally building relationships inside and outside of the workplace. These positive work and peer relationships help you become whole and healthy. Relationships matter whether or not you want to admit it. Relationships help you deal with stress: Leadership is stressful, you know that. You have to make impactful decisions which will change the lives of everyone involved. How stressful! Relationships can help reduce your stress levels. A study of 100 people discovered friends supporting one another reduced the level of stress a person feels. Building strong relationships with your peers will help you recover from a stressful day in the office. Relationships add meaning to your life: I know, you’ve already got meaning in your life, leading the people in your organization. Am I right? While there may be some added meaning to your life because of your work, relationships add even more meaning. These are the relationships and friendships you get to choose. You choose who you hang out with on the weekend, what you want to share with them, and how much of life you do with them. This adds deep meaning to your life. This meaning will renew and refresh you. Relationships make you grow: Probably the most important reason for relationships is the growth you will experience when you’re in meaningful relationships with others. Healthy relationships challenge you to grow and improve. Late last year and early this year, I formed a community with two groups of men. One’s a local group and we meet for coffee and smoothies at a local coffee shop. We share our struggles and our victories. We discuss our personal lives. And we tell one another how we can be prayed for our assisted. Then there’s my League of Extraordinary Gentlemen group. We teleconference in once a week and do something similar. We share our wins, our challenges, and recommendations. We also pray for one another and help one another out when needed. These meetings pour life into me and the other men I meet with. They also make us grow. We grow because we’re doing life with each other. We’re sharing intimate parts of our lives others may not see. It stretches our relational IQ. I can’t encourage this enough. Finding a group of like-minded people will help you grow. These are but a few reasons why relationships should matter to leaders. There’s many more and now I want to hear from you. Can you answer the question below? 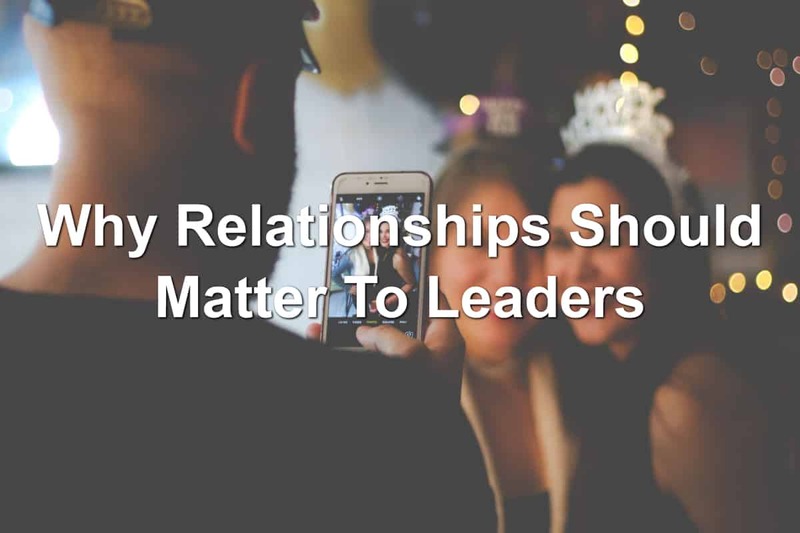 Question: What other reasons are there for relationships to matter to leaders? Share your thoughts in the comment section below. Going wide or going deep?